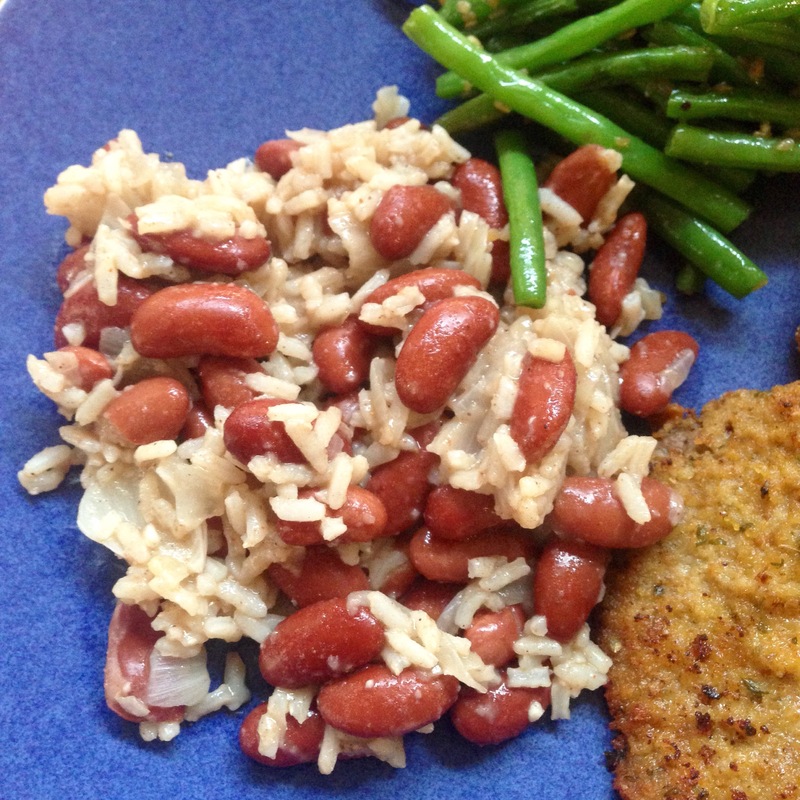 I kept today’s recipe simple and flavorful, opting for beans and rice to accompany the beautiful fried pork rounds my mom made for dinner (we call it pané meat, basically just meaning breaded meat). 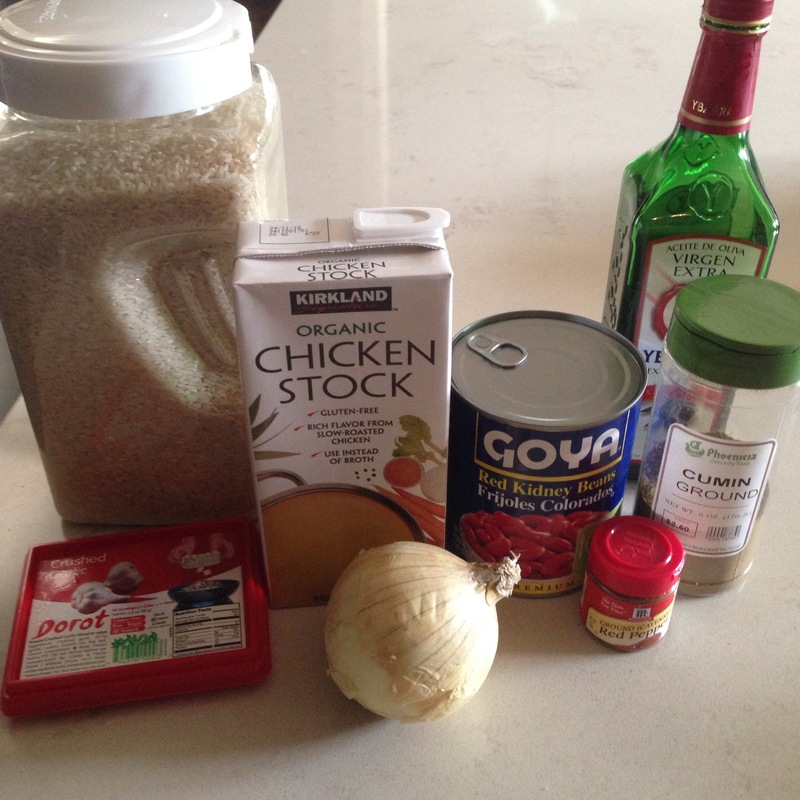 To start, I heated a teaspoon of olive oil in a deep pot and added a diced onion and 2 cloves of minced garlic. 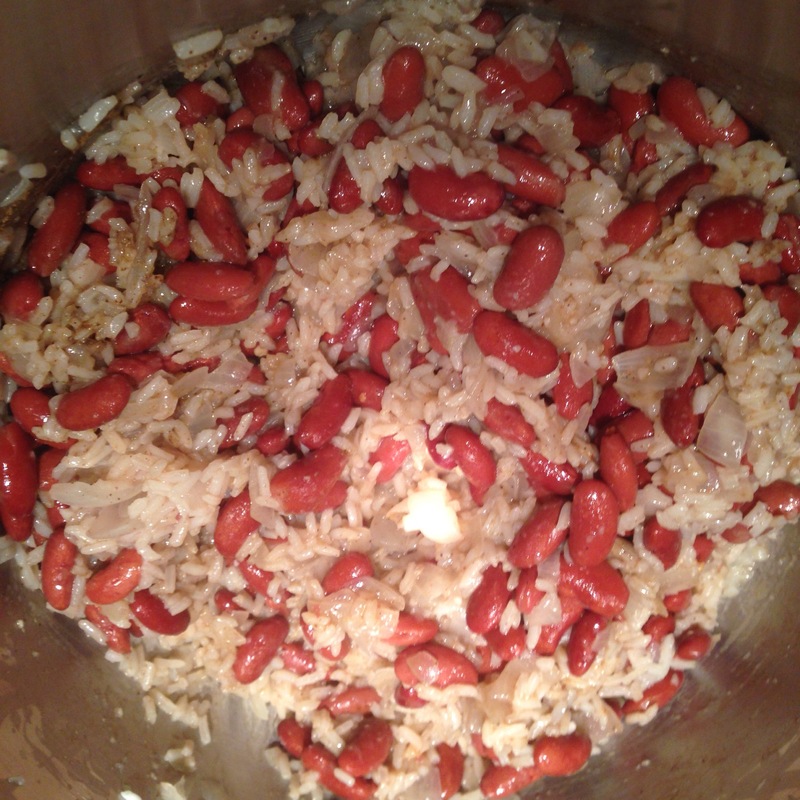 Once tender, I added 3/4 cup of uncooked rice and let that cook for about 3 minutes. Then, I added in about 1 and a half cups of chicken broth, brought to a boil, reduced heat, and covered. I let the pot cook for 20 minutes over medium-low heat. Then, I stirred in a 3 and a half cup can of kidney beans, along with salt, pepper, a teaspoon and a half of cumin, and 1/3 teaspoon of cayenne pepper. This recipe is pretty quick and very substantial as a side or even a main course to any meal. It would also be super easy to spice up with any fresh vegetables on hand or substitute for a different kind of bean, depending on what you prefer. I’m also on Instagram at @cookwithmir -feel free to check it out! Enjoy!